Here at Sundial Resort, we have an experienced event management team that is invested in helping every one of our clients plan and execute the best events possible, from weddings and special occasions to corporate events. Our incredible staff and beautiful facilities are perfect for your next event. 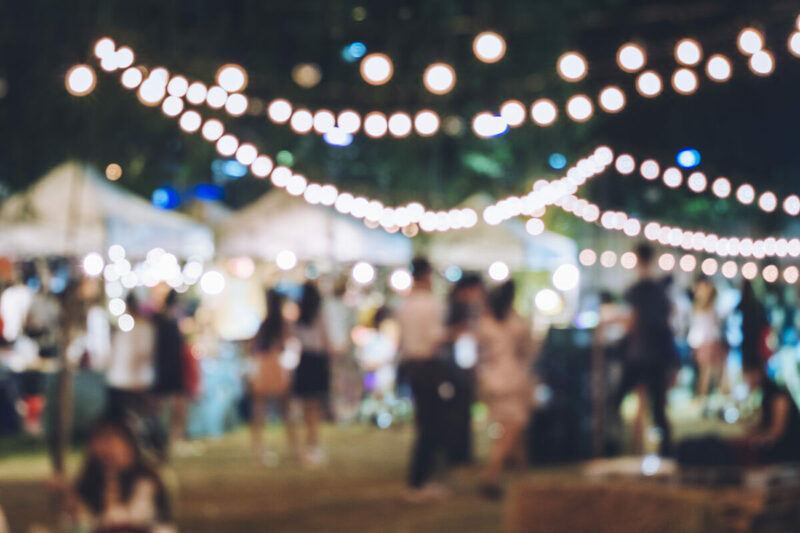 For the upcoming event season, the team answered a few frequently asked questions to help provide some insight into ongoing trends and help you plan your next event to perfection. What are some evergreen event trends that never go out of style? David: Elegant settings, good food presentation, and crisp attentive service are all elements of event planning that will never go out of style. If anything, no event should proceed without these three elements being present. Tracy: Neutral palettes for your color schemes. Picking a good color scheme is important when planning an event and a neutral palette can easily work with any theme, setting or season. You can even make it more unique by starting with a neutral palette and adding pops of color. Ashley: Floral Centerpieces, candles, and lace for decorations. Much like picking the color scheme, decorations are a big part of planning an event. These simple and popular decorative pieces can be used in so many different ways to really enhance the look of an event. Are there any new event trends you’re seeing in 2019? David: A bit of a change from large events, casual event options and less formal versions of traditionally fancy events are on the rise. Furthermore, more diverse food menus featuring more healthy options as well as a greater amount of ethnic food items are trending. Tracy: We are seeing more mixed genders in wedding parties. Instead of bridesmaids and groomsmen, we are seeing more and more brides people and grooms people that break away from the traditional gender guidelines in the wedding parties. Ashley: Statement wedding cakes and bold colors are continuing to rise. People want to be exciting and do something different than the same old thing for their special days and events. What are some good tips for having a great event? David: Knowing your guest’s needs is always a good thing. For example, if you had a vegan guest you would want to be aware of that and prepare accordingly so that it isn’t a surprise that could slow service or ruin a guest’s experience. Tracy: Allocating responsibilities is important. Putting on a successful event requires a team. Ensure your staff or volunteers know what is expected of them at all times during the event. Ashley: Have fun! Allow time for actually enjoying the event and mingling with friends and family. Sometimes people get so caught up in the planning process that they forget to actually appreciate the event itself. A couple of things that everyone on the event team agreed upon for this question was that a great event should have proper planning and a thorough and realistic budget. Sometimes, depending on the event but especially with weddings, it can be helpful to even hire a planner to help everything stay organized and run smoothly and it always helps to plan far in advance. With the budget, you want to make sure that besides covering all of your needs you also allocate money for any unexpected expenses. What advice would you give to make your next special event memorable? David: Take advantage of everything Sundial has to offer. There are so many opportunities available and you should really make the most out of them. Furthermore, getting people at your event to participate in fun activities such as the beach and water activities is a great way to make memories. There is also incredible local cuisine and Florida-themed menus that can make any meal memorable. Tracy: Appeal to your guests’ senses. People remember when an event has those special touches, such as a unique color pop or having carefully selected music throughout the evening. You can also get creative with the menu so your guests can try something new or enjoy unique flavors, even pair drinks or wine with the menus to enhance the meal. Ashley: Adding your own special touches or surprises is always fun and memorable. For example, having a “make your own welcome bag” station as a fun alternative to a standard welcome bag check-in. Voted the Best Event Facilities on Sanibel and Captiva Islands, Sundial is the go-to destination for memorable events. Contact us today and we’ll help make your next event everything it can be!